ONTONAGON — A mining action group known as the Upper Peninsula Environmental Coalition (UPEC) is concerned with the mess that’s being created at Porcupine Mountains Wilderness where copper mining exploration is being conducted. 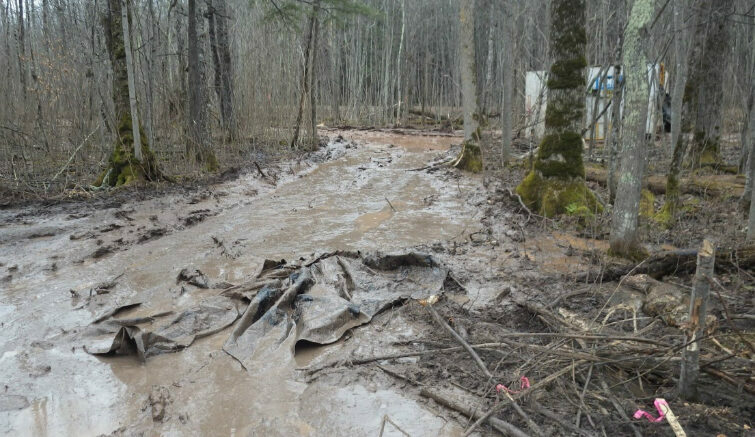 Pictures from UPEC show equipment from Orvana Resources- the company conducting the exploration study- in lots of mud created by a combination of the company’s machines and warmer weather. Orvana is conducting exploratory test drilling in the far western regions of the park. Back in February, the DNR announced the company would be drilling 21 exploratory holes- 12 of them on park property.